I wished I’d become an architect. I desperately want to understand how people make buildings like these. How you piece together developments on an uber scale and what makes an architect create buildings like these. 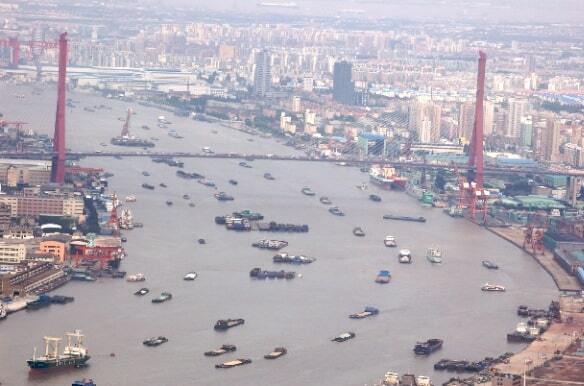 If I could make sense of the fundamentals I think I’d make more sense of Pudong. 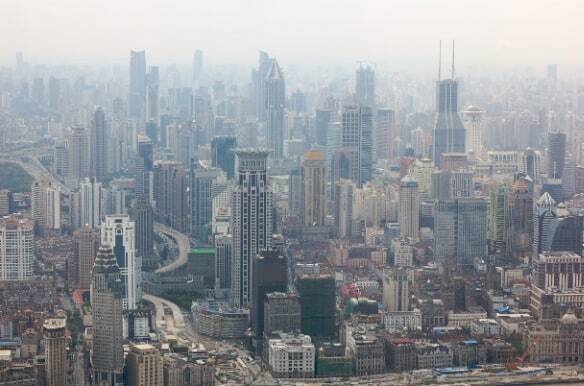 This is Shanghai at it’s most audacious, most modern, most 21st century Chinese. There is no kiwi tall poppy syndrome here. China is saying we’re big, we’re better, we’ve got big ideas. Today I saw bigger and taller in gargantuan proportions. Even the word looks and sounds a little Chinese – gar-gan-tuan! 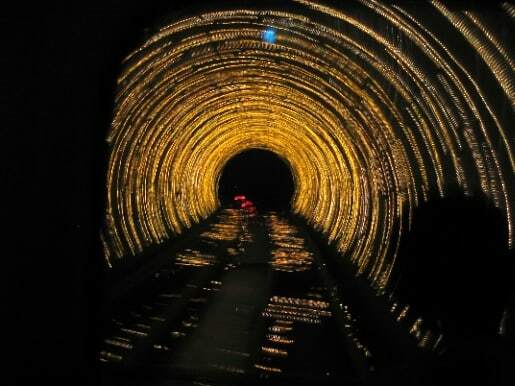 The tourists arrival to Pudong is by the Tourist Tunnel no less. This is Shanghai at it’s most kitsch. You travel under the river in a rail capsule (think London Eye and Wellington Cable Car) but there is a psychedelic light show to keep you amused. It’s slightly headache inducing but a five minute excursion that transitions you from the oldness of the Bund to the newness of Pudong. The tunnel really doesn’t show Shanghai at it’s best. You’ve got to hand it to the architects who created this. Wide roads that create open space between the tall buildings saving you from the usual claustrophobia you get from built up areas. It does of course take you about 30 seconds to cross the roads though! As you might expect there is still plenty of construction going on. 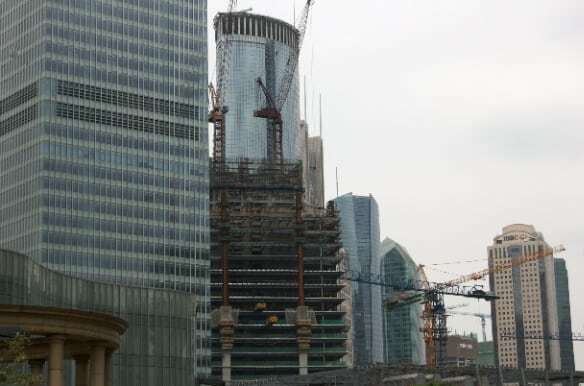 New buildings growing from the ground with the help of some interesting looking cranes. Partially complete buildings are all around. I fear I could never work on a high rise building site. One false step and you’d be falling a long way down. 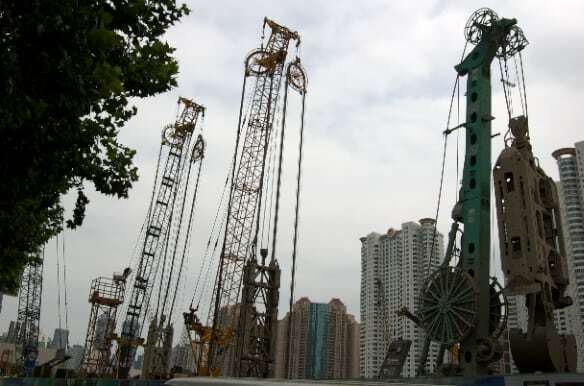 But we didn’t visit Pudong for the building sites. 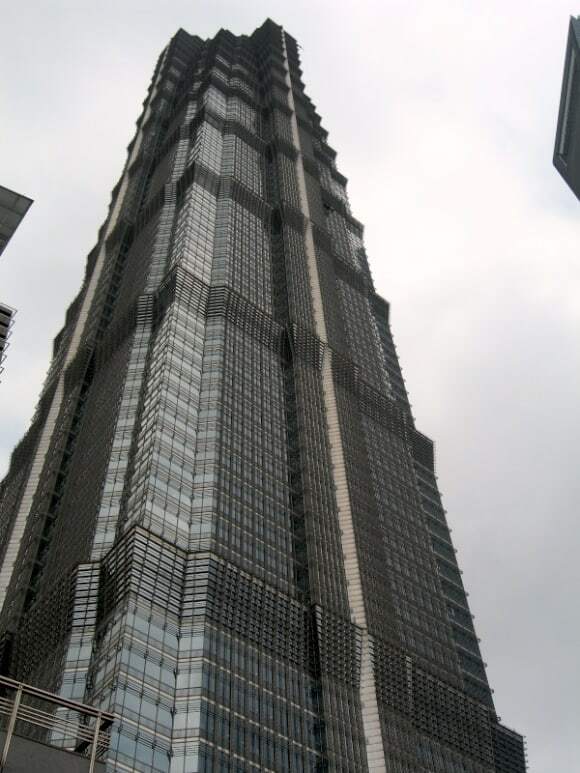 We came to see this – Jin Mao Tower. 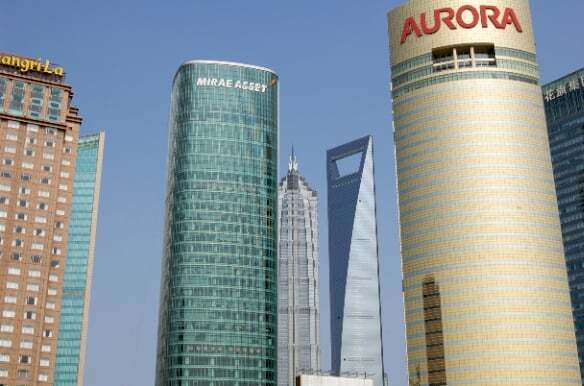 This 88 story building with the Chinese translation being Golden prosperity Building. 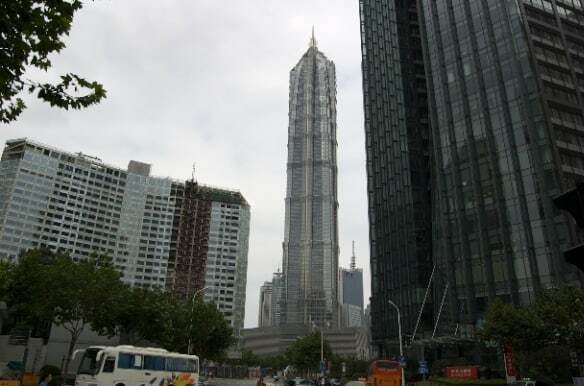 Currently the world’s fifth tallest building it is soon to be usurped by the new Shanghai Tower being built next door. It is a fascinating design with a nod to the art deco hey day of Shanghai. It glints in the sunlight and shouts glitz and glamour when compared to some of the sleeker towers close by. You can get vertigo looking up this building. The attention to detail on this building is immense and from ground level there is plenty to admire. We were transported by high speed lift up to the 88th floor which is 370m up. It travels at 9m per second so it’s fast. It made me feel slightly sick and made my ears pop with the change in pressure. Still it was worth the ride. Nothing can really prepare you for what you see when you get up top. It’s eye bogglingly wonderful. One of the first things that strikes you is how busy it is on the river. This is very much a working waterway with teams of boats ferrying building materials and debris up and downstream. The tower blocks go on and on and on into the smog filled horizon. You can also see the lower rise housing developments each with their different coloured roof. 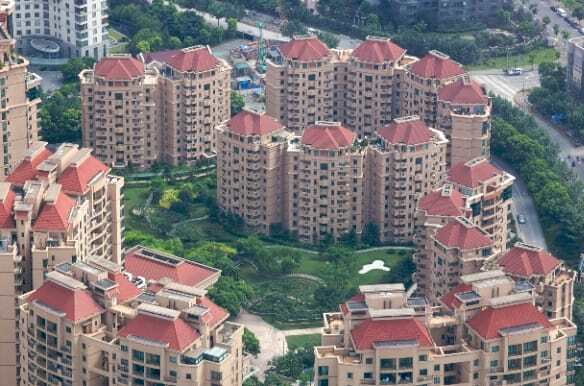 There are of course some swankier housing developments for those with money. Much more green around these areas. These tower blocks looked enormous from the ground. Now they don’t look quite so big! 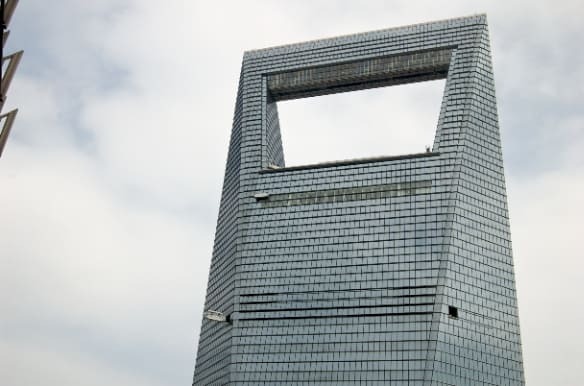 There is no mistaking that this building is a monster. I would need to be paid huge amounts of danger money to be working as these people are. 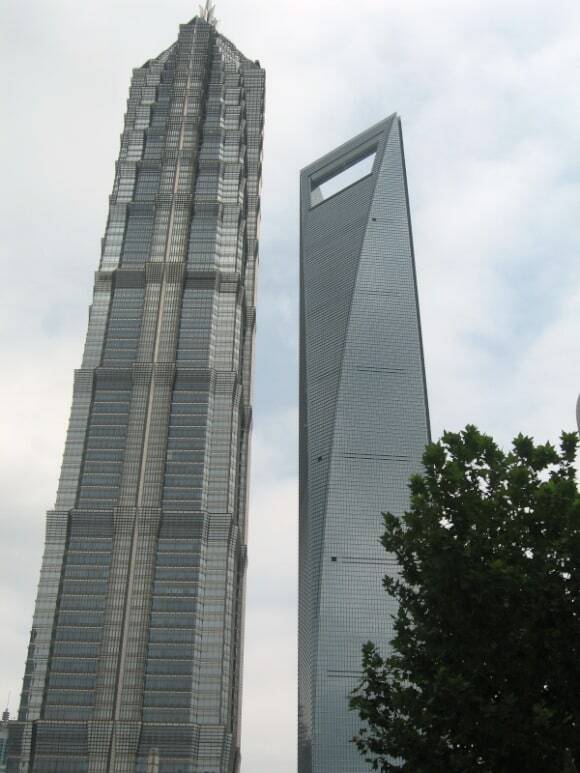 This is the Shanghai World Financial Centre and is the building with the highest roof in the world – 492m. Apparently other high rises don’t have roof. You can see how far it is down the tower through an internal rotunda window. After a while all the high rise and skyscape can get a little too much. There is plenty of other things to see. 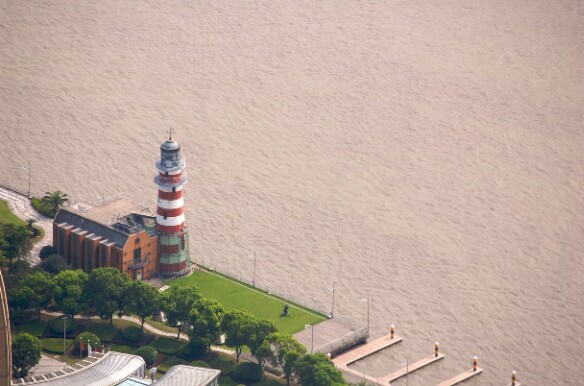 Like this lighthouse on the riverside. I suspect in it’s time it might have been considered a tall building. 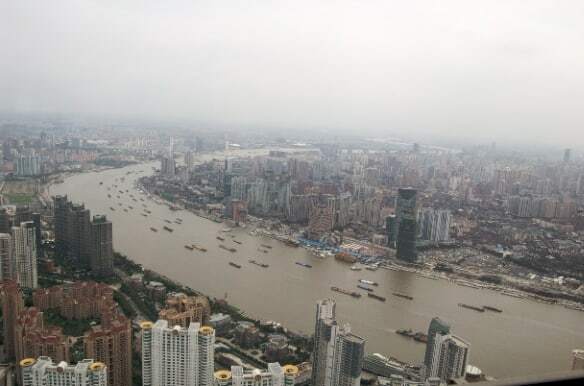 Even through the haze you can see the enormity of Shanghai as it stretches up river. Coming down to earth in the high speed lift was just as exhilarating as the ride up. The whole experience did give you slight sensory overload but in my view its a wonderful way to see Shanghai’s scope and scale. 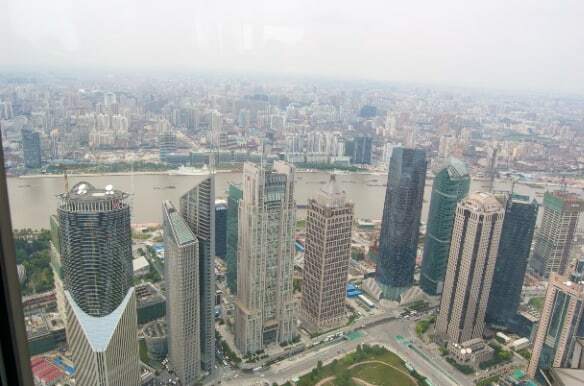 The Pudong is almost like a different city though. Much quieter and fewer people. It has a slightly toy town feel about it as everything is so new. What is consistent with elsewhere is the huge amount of new construction still going on. 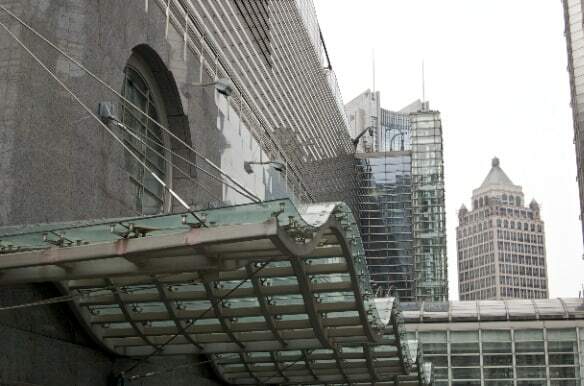 We walked back along the river to enjoy the view of the Bund buildings. Again you can’t help make the comparisons between old and new. For all it’s glitz and glamour, Pudong would not be my preferred place to be if I were staying in Shanghai. 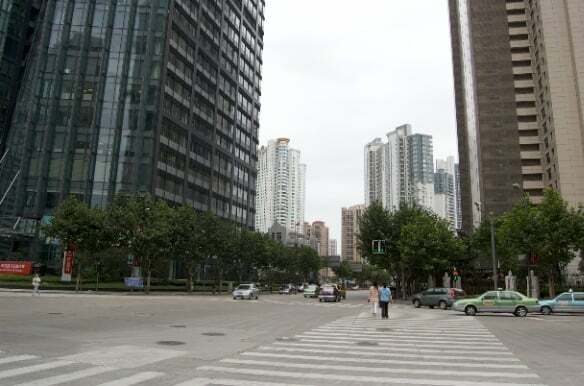 It is after all the commercial district and basically full of office buildings. If you want the heart and soul of Shanghai you have to be in the old town. There is so much more to explore, enough I’d say for at least a week’s stay. We are packing in the sights as we’re only here for a few days. It’s hard not to get swept up in the excitement of the place. Wellington feels like a complete world away right now. 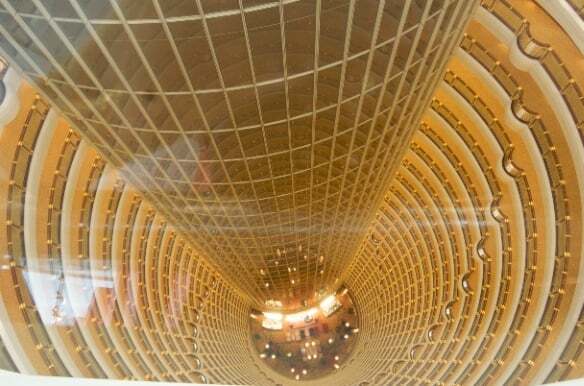 What magnificent views from the Jin Mao Tower but the internal view made my blood curdle. It’s one of those sights that horrifies yet draws you back to look again. It’s like something out of a science fiction film. Here in my rural corner of the UK a 3 story atrium rates as something to marvel at, I think I’d be wandering around Shanghai being impressed with everything. 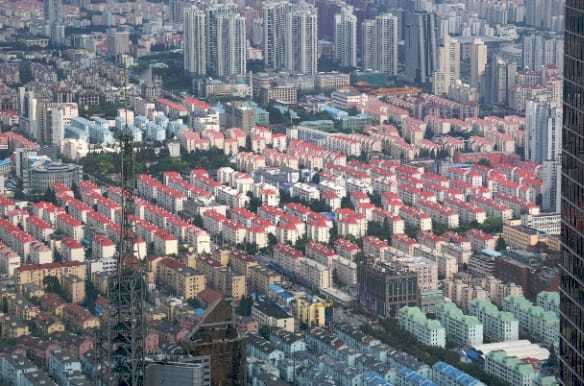 Woosh, the size of those buildings and sheer volume of them filled me with fright and wonder all at once. I find walking along Lambton Quay or The Terrace, in little ‘ole Wellington, enough for me. I really hate sky rises and walking in the cavernous depths beneath them, shaded from the sun and feeling the wind pressure increase as it is forced between the buildings. A part of me would like to visit Shanghai, but another half of me would want to run for thousands of miles to the nearest paddy field! I’m so thankful to you for these stunning photographs enabling me to enjoy a spot of armchair travel. 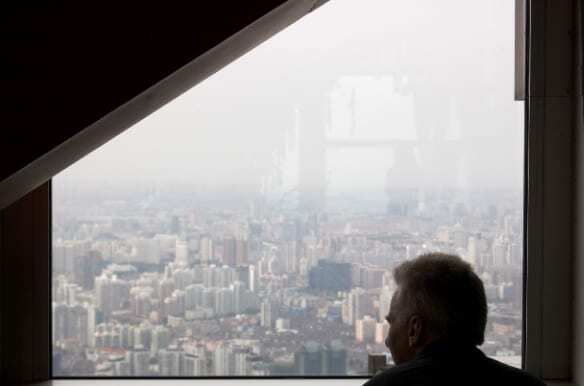 You’re photographs, combined with sensory descriptions really sum up the feel of Shanghai. An extremely fascinating place and I’m sure a visit there is never forgotten.